Alternatively, matte tiles can create a more calming effect for rooms. Without a high-gloss finish, they also hide dirt and therefore require less cleaning. Matte finishes are ideal for more rustic or naturally-inspired rooms. 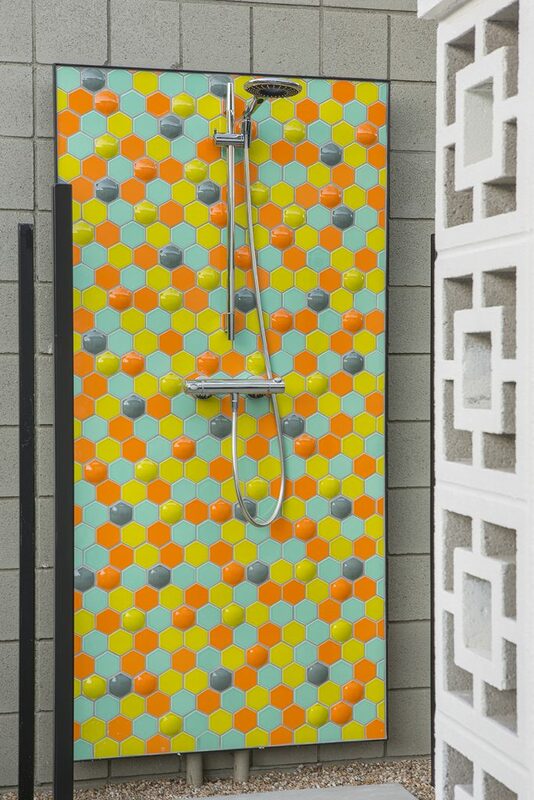 Mixing both color and tile type creates a dynamic surface for this Palm Springs outdoor shower. Photo by Bret Gum. 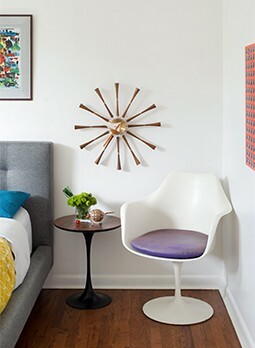 Don’t be afraid to mix and match—not just with color—but also with shapes and dimension! Tile companies like Clayhaus have created collections that play well together. Combining two tile types from the same family can create a truly unique yet cohesive finished look. Variations between small batches can be seen in the moss glaze and the dusk glaze. Photo courtesy of ModCraft. When purchasing hand sprayed and fired ceramic tiles completed in small batches, embrace the subtle differences in each individual piece. Mod Craft illustrates the variations in their glazes by showing a chip with the same glaze, from different batches. Placing field tile vertically creates an completely new look for traditional subway tile. Photo courtesy of ModCraft. Square and rectangular tile are always classic, but don’t feel limited to these traditional choices. Not only can you have your pick from circles, hexagons, and plumes, but also from all sorts of artisan designs. Some companies can even create a custom tile to meet your specific needs! When using traditional shapes like the rectangle, remember that changing the direction can create an entirely new feel. 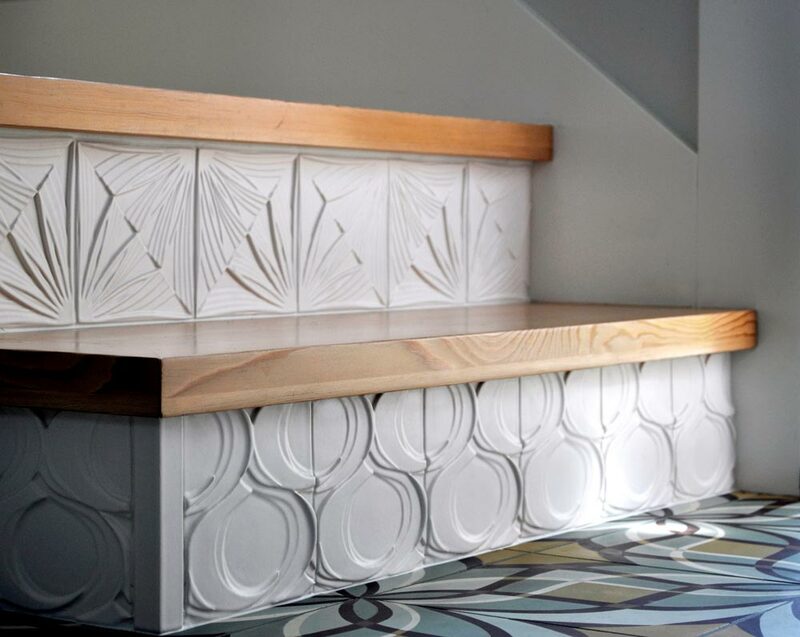 Decorative tile creates an elegant feature out of these stair risers. Photo courtesy of Clayhaus. When we think of tile for interior home décor, we generally go straight for the kitchen, bathroom, and occasionally around the fireplace. 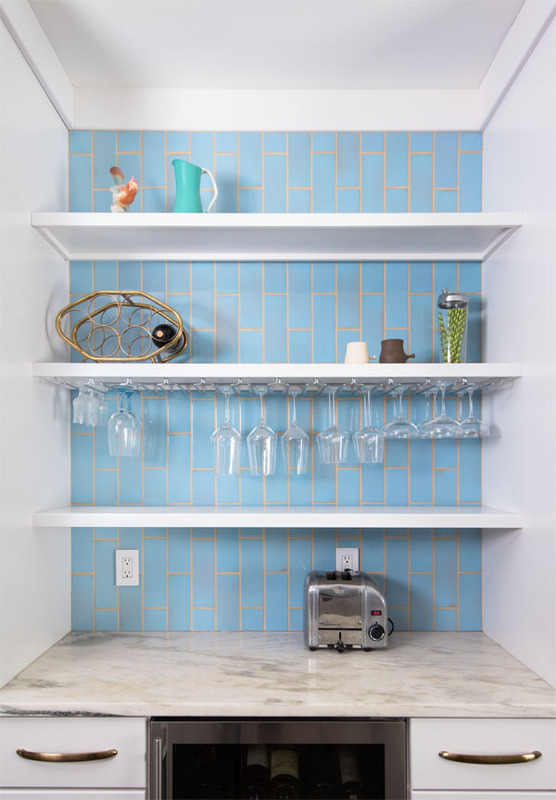 However, using tile as a decorative accent for other spots around the house can really add a mod touch. So, you’ve decided on your tile design, color, placement, and glaze, now what? Because color can vary depending on your computer and the nature of photography, do not just rely on a sample you’ve seen online or in a catalogue. Always order a sample! It’s just best to see the tile in person. This also gives you the chance to hold up the tile to your existing space better assess the final look.